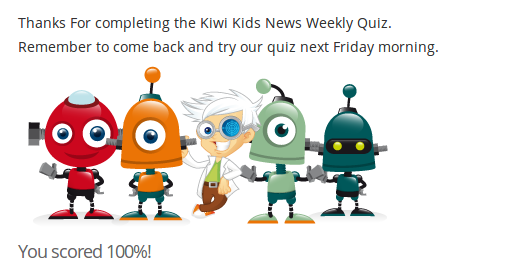 This is my Results from the Kiwi Kids News Quiz. Me and my partner (Samantha) scored 100%. I bet you read the news weekly if you scored 100%. Keep up the great work Caitlin.